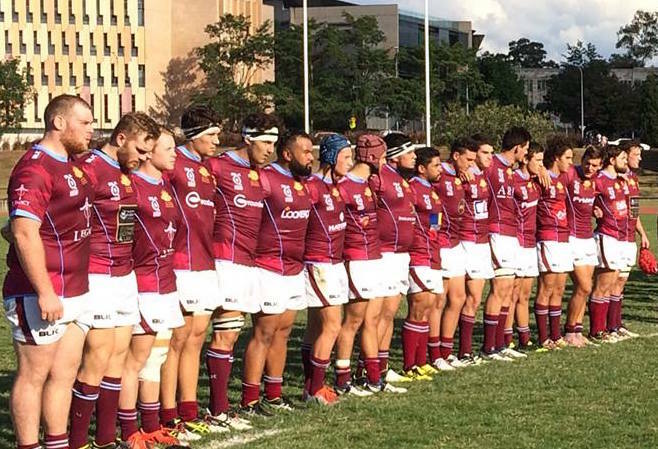 Following University of Queensland’s win over Sunnybank last weekend, their 14th straight for 2016, it’s hard to imagine a time when UQ weren’t featuring heavily in the QLD Premier Rugby Finals. However, it wasn’t too long ago that the now powerhouse club were the competition cellar dwellers. Winning just three games in 2008, UQ were looking for someone to take them in a new direction: enter head coach Mick Heenan. 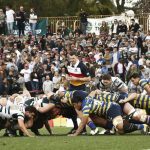 Heenan had been head coach at the GPS Rugby Club since 2002 and had experienced a reasonable level of success, making the finals in four of the six seasons he was in charge but unable to claim an elusive premiership. “At ‘Jeeps’ we were pretty consistent and we had some good years but we came up against some red hot teams in the finals, teams that often went on to win the premiership,” said Heenan. Moving to St. Lucia to take the reins at Stade de Heavy – UQ’s colloquial name for their home ground – Heenan set about turning the once proud club into a premiership force. In 2009, the club began that transition however it took the premier grade side half the season to find their feet. Once they did they showed glimpses of the success that would soon trickle down to every grade at the club. They claimed seven victories in 2009, all of them coming from their last nine games. 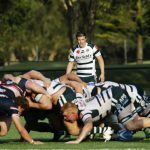 In 2010, the Heavies started with a loss, but it would be their only defeat of the year as they went on to win 16 straight games on their way to claiming their first premiership in 20 years. 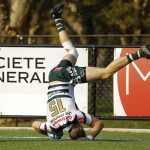 “Guys like James Hanson, Jono Lance and Heath Tessman went soon to be Super Rugby regulars but we were able to hold on to them for most of that 2010 season,” recalled Heenan. In a competition where it’s almost impossible to claim back-to-back premierships – the last team to do so was the Canberra Vikings who completed a three-peat in 2003 – UQ have been consistently dominant under Heenan. Since 2010, the Students have lifted the Hospital Cup twice more (2012 and 2014) and have fallen one game short of the grand final in 2011, 2013 and 2015. “In 2012 everything came together for us at the right time, at the right end of the season” said Heenan. In 2016, the Students have won by big margins some weeks and muscled their way to tight wins in others, yet one thing remains consistent. University know how to win. Boasting an all-star backrow, which includes NRC QLD Country players Connor Mitchell, Jack DeGuingand and Jack Cornelsen and a slick backline led by Brisbane City’s James Dalglieish, UQ have strike power from 1 to 15. “This year we’ve played our best football when we’ve been aggressive but the most pleasing thing is the work the players do off the ball. That’s a testament to the quality of guys we’ve got in the squad,” said Heenan. 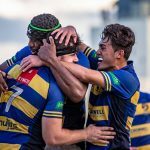 After securing the minor premiership two rounds ago, University have been fine tuning their performances for the upcoming finals and they get the perfect opportunity this weekend against a GPS side who must defeat Uni by more than three and claim a bonus point to sneak in to the top four. “This week, Jeeps have a lot to play for and it’s sudden death football for them, so it’s perfect preparation for us,” said Heenan, preparing to face his old club. That preparation is a scary prospect for the remainder of the competition. As is the thought of a UQ team coached by Heenan for many years to come. “I’m really happy at Uni. I’ve got good life balance and I am keen to keep going for as long as the club will have me,” the coach declared. With their three most recent Hospital Cups coming every second season under Heenan, history suggests 2016 will see number four heading to St. Lucia. Considering that record and a winning percentage above 70%, one gets the feeling it’s the club that will have Heenan for as long as he wants.